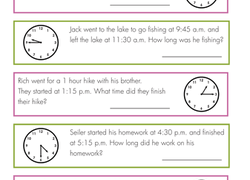 Time worksheets are a great tool for young students who want to read a clock or calendar. 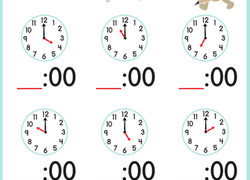 Our free printable time worksheets allow students to practise telling time in a fun way. 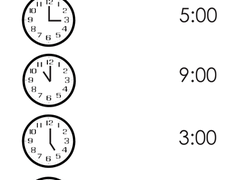 With beautiful illustrations and clear instructions, these time worksheets show students how to read minutes, hours, days, weeks, and months. Students can even make paper watches to show off to their friends! Parents and teachers can watch as children start to learn about their own daily schedule. Encourage learning beyond the classroom with these time worksheets. 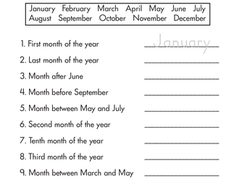 Help your first grader learn the months of the year, from January to December, with help from this simple riddle worksheet.